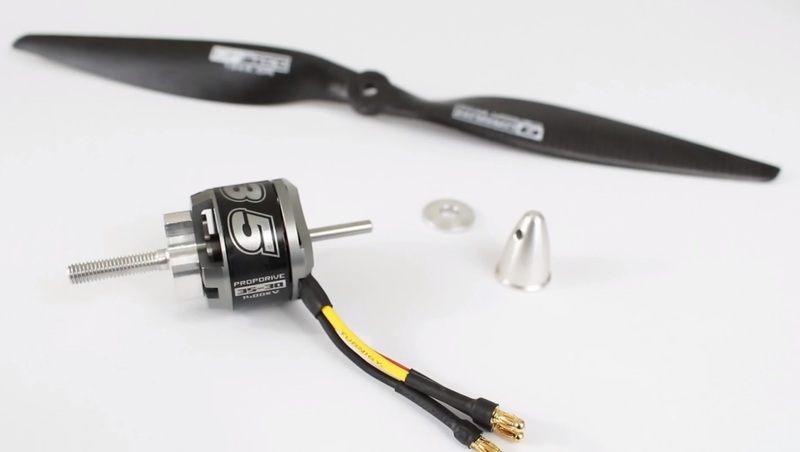 Why test your motors and propellers? You must first ask yourself, what are your, or your end user’s needs? This question is important, as it will help you know what parameters to optimize for. Do you want to fly longer to film uninterrupted for longer periods? Do you want to carry a larger payload? 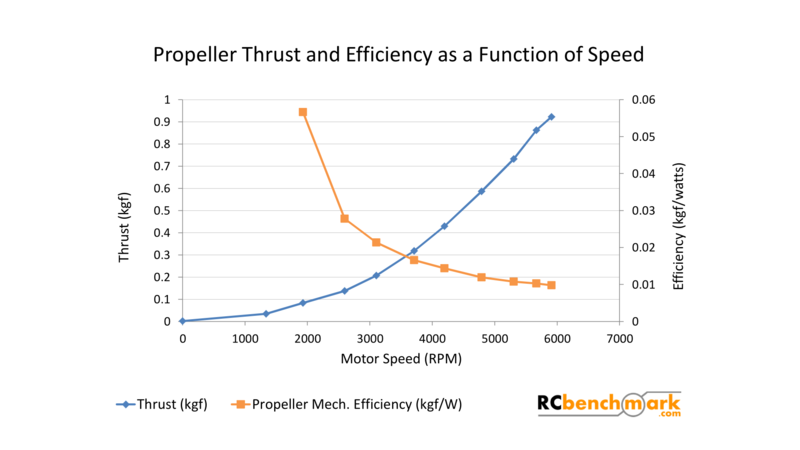 Do you need more thrust and power to go faster, or to improve handling in strong winds? Do you have overheating problems, and your application requires you to minimize failure rate? The final choice of power system depends not only on the airframe and payload, but also on your application. What parameters should I measure? NTM propdrive 35-30 brushless motor and Quantum 13-4 carbon fibre prop. To fully characterize a motor, you need to measure the following parameters. The output speed is function of the throttle, in %, and of the load (torque in Nm). If you want to completely characterize a motor, you will need to test it with multiple input voltages and different loads. The throttle is changed with the software, and the load is changed with the type and size of propeller. Notice that the mechanical power is the same for the motor and propeller. That is because all the motor’s mechanical power output goes into the propeller, since it is directly coupled to the motor’s shaft. Where the system efficiency is in grams per watts of electrical power. Changing the motor, propeller, or even switching to another ESC will all contribute to changing this calculated system efficiency. Moreover, the efficiency value will only be valid for a specific command input and mechanical load. 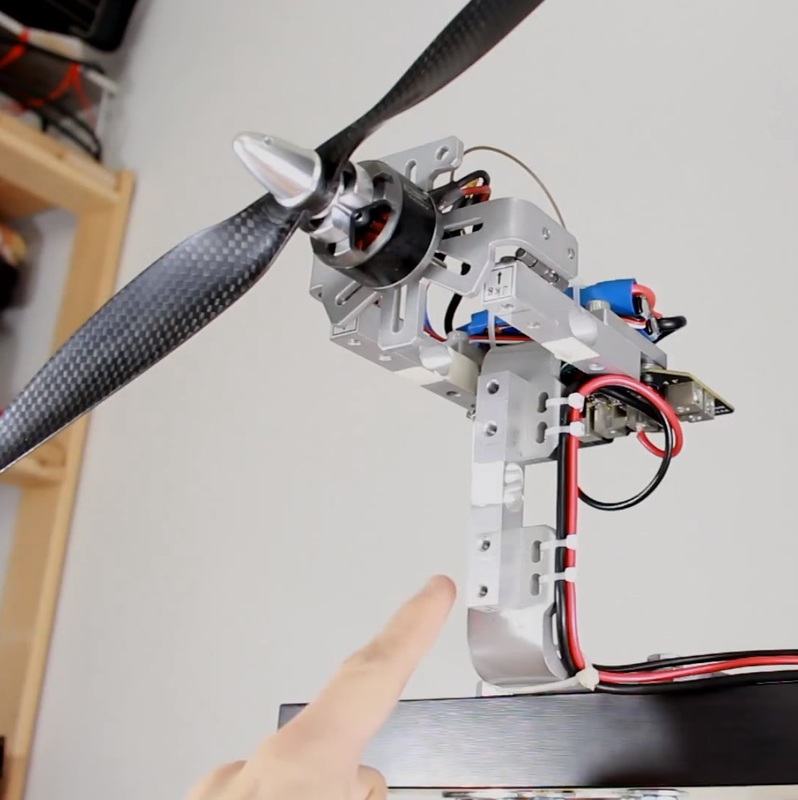 In practice, this means that you will test you motor over a range of command inputs, and with multiple propellers to vary the mechanical load. How to measure those parameters? In summary, you need to simultaneously record voltage, current, torque, thrust, and motor speed, while at the same time control the motor’s throttle. By combining these readings you can extract the electrical and mechanical power, which in turn will allow you to get the efficiency values. Configuring your dynamometer to automatically cutoff the system should any parameter exceed its safe limit. A simple but effective test consists of ramping up the throttle in small steps, and recording a sample after every step. Before taking the sample after each step, we allow the system to stabilize for few seconds. In the video above, we manually varied the throttle from 0 to 100% in 10 steps. This procedure could also have been performed using the RCbenchmark’s automatic test or scripting feature, which we will cover in another tutorial. The results obtained are shown in this CSV file. How to use the efficiency results? You can summarize a lot of data points using any plotting software. To the right is an example obtained using the CSV file linked above. You can than compare this plot with other plots generated using the same method. Try comparing two plots, all with the same parameters identical expect one element changed, for example switching propeller. Stay tuned for more tutorials on how to analyze and interpret the results, allowing you to make smart design decisions for your designs. Liked this tutorial/comments? Let us know below.